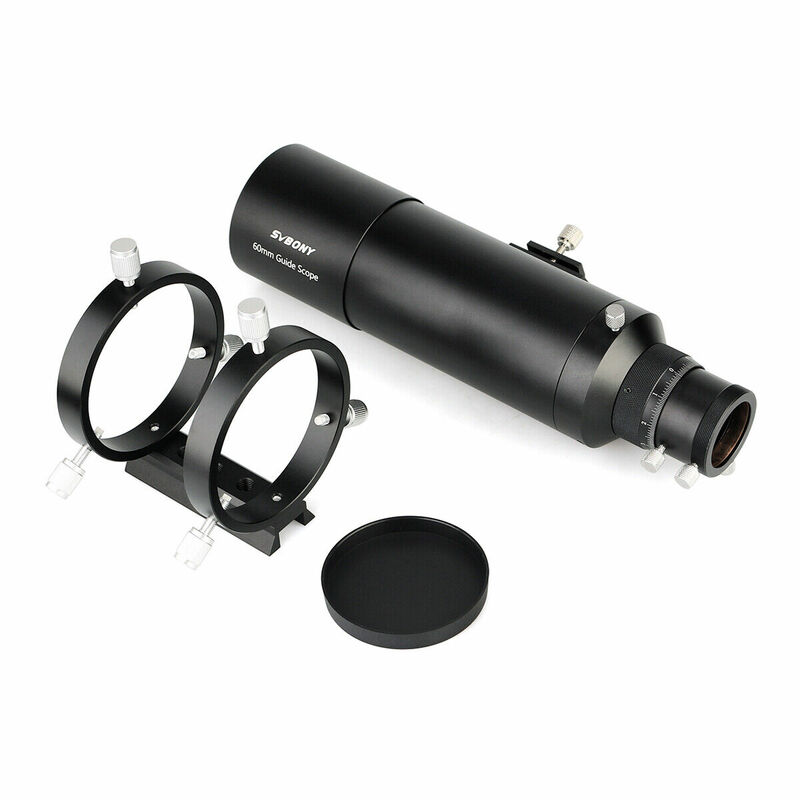 This solidly built 60mm Guide Scope will help guide you to capturing higher quality astrophotos. 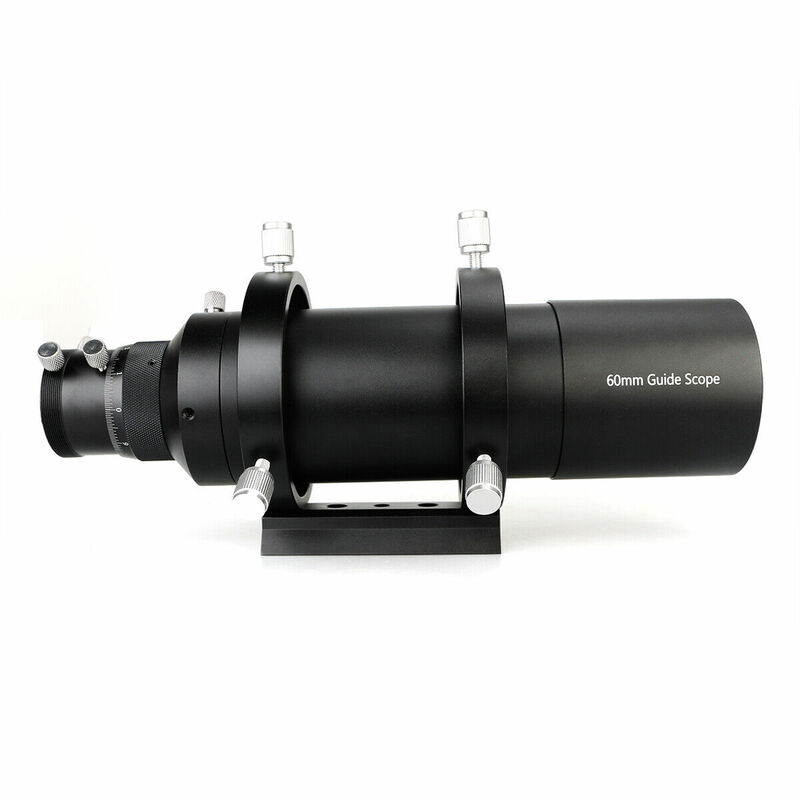 With its 60mm lens and smooth helical focuser, the versatile 60mm Multi-Use Guide Scope with Helical Focuser is an ideal addition to any astrophotographers collection of gear. 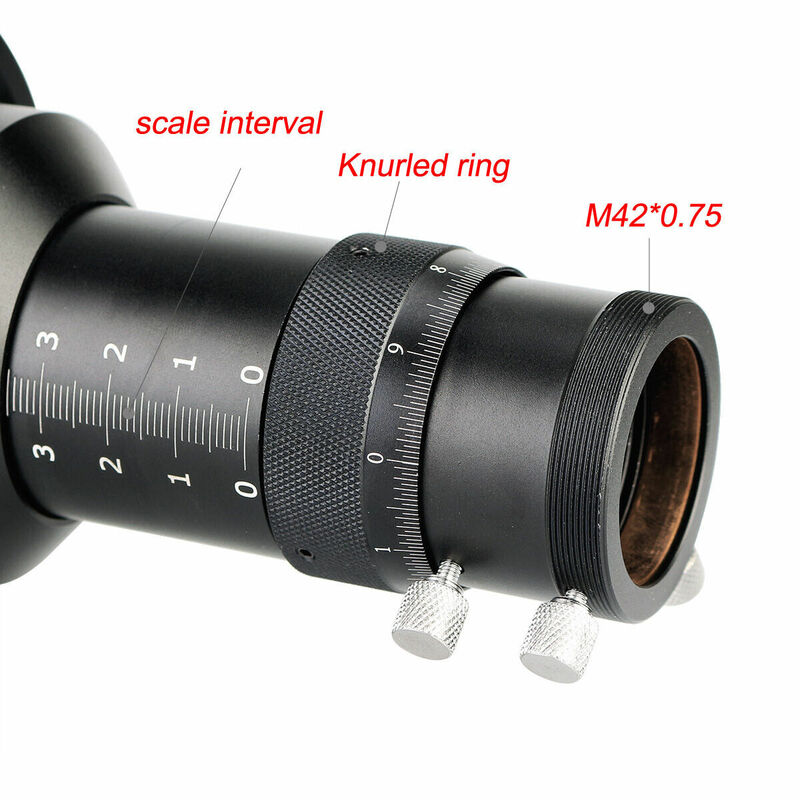 What's more, you can use this handy scope as a deluxe, straight-through 60mm finder by inserting an optional 1.25" eyepiece (sold separately). A practical benefit of this is that prior to guiding, you can insert an eyepiece into the guide scope and easily align the guide scope with your main imaging telescope. Then remove the eyepiece and attach your autoguider camera. The 60 mm Multi-Use Guide Scope with Helical Focuser features a built-in helical focuser that allows precise focus adjustments with zero flexure for rigid performance. Obtaining a clear, sharply focused view of potential guide stars is quick and easy with this sturdy scope. The fixed-orientation focuser mechanism will not rotate inserted autoguider cameras or eyepieces when focus adjustments are made. 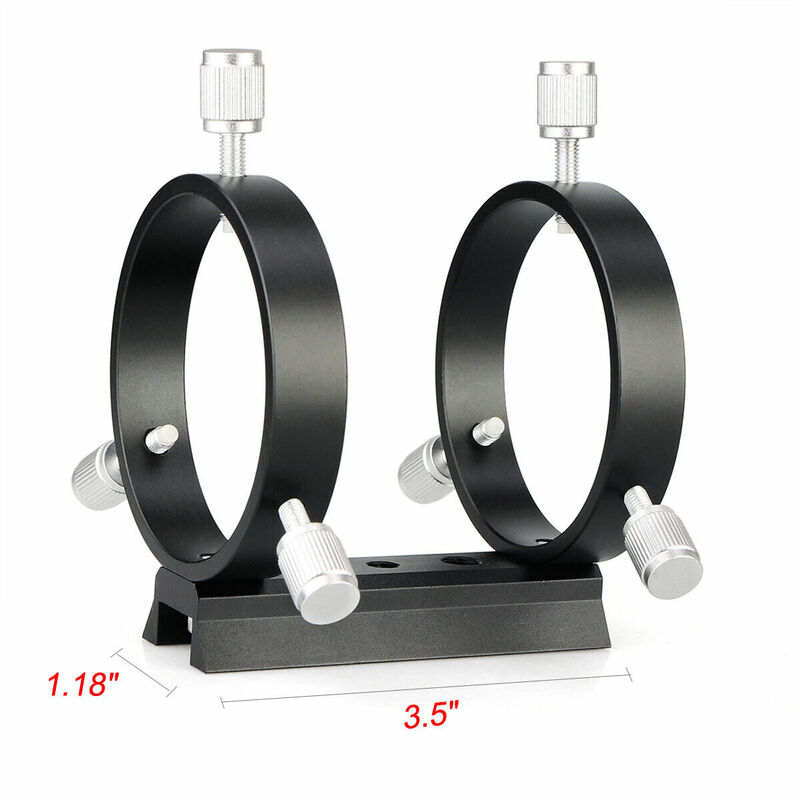 The helical focuser simply moves the attached device inwards or outwards while maintaining its orientation. This convenient feature means your field of potential guide stars will not rotate as focus is adjusted, further increasing ease of use. 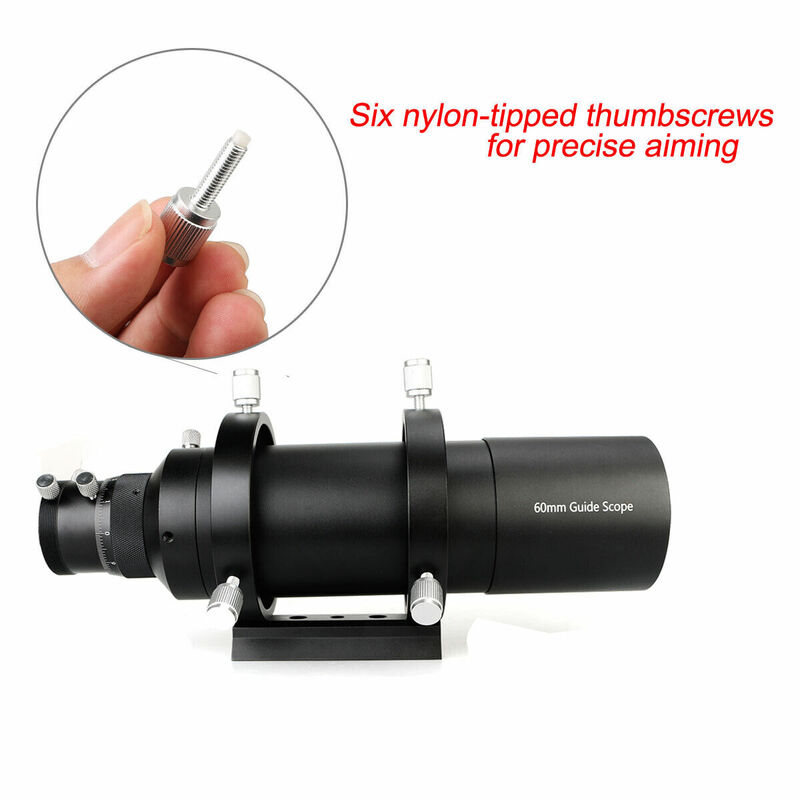 The Multi-Use Guide Scope features a machined, knurled ring to make fine focus adjustments nice and easy, while a thumbscrew lets you lock-down the focuser in-place once adjustments are complete. The focuser boasts 8 mm of precise helical focus travel, plus telescoping drawtube housing provides up to 35mm of additional back-travel if needed for your particular autoguider device. No extension tubes necessary! 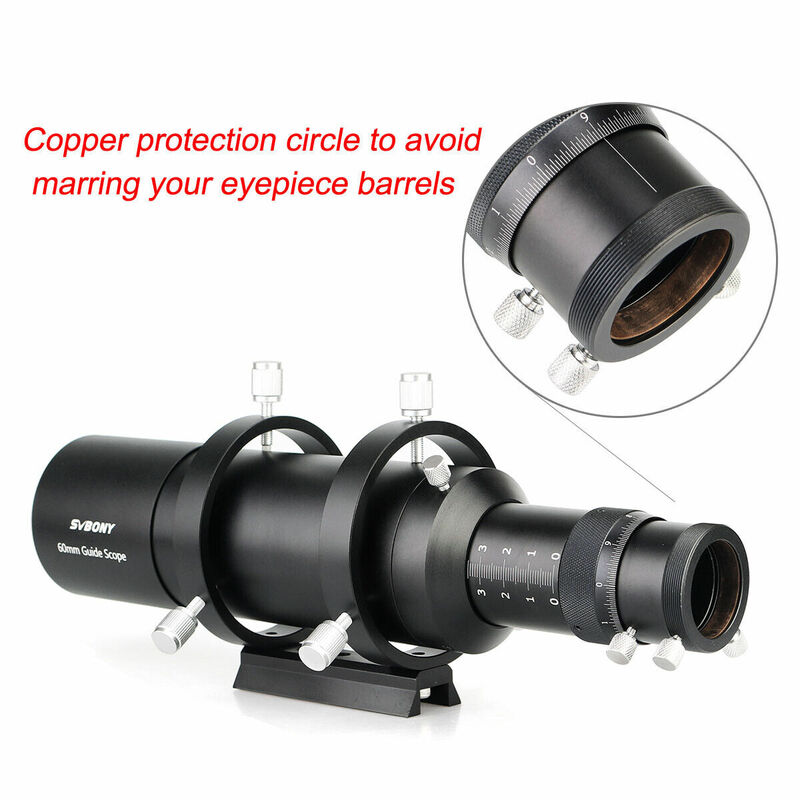 A compression ring fitting keeps any inserted autoguider cameras or eyepieces free of pesky scratches. The Multi-Use Guide Scope with Helical Focuser also features male T-threads on the focuser collar for secure threaded attachment of guide cameras equipped with female T-threads. This complete guide scope comes with two heavy-duty guide scope rings and a 3.5" long, 1.18"wide dovetail mounting bar, which is compatible with dovetail finder scope bases for easy attachment. The dovetail bar features five threaded through-sockets for versatile attachment options. The included guide scope rings feature six metal thumbscrews for precise aiming. For those nights when you don't plan to capture astrophotos exposures, this versatile Guide Scope can double as a straight-through finder scope with an optional 1.25" eyepiece installed. For example, inserting a 25 mm eyepiece creates a 9.6x60 finder scope, or you can insert one Illuminated Centering Eyepieces for use as a finder with illuminated crosshairs for easy aiming. (Eyepieces sold separately).